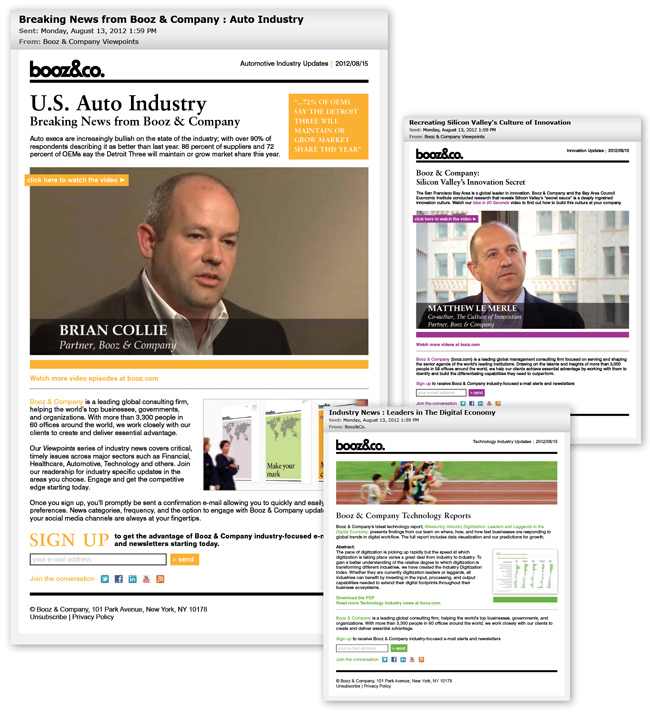 Booz & Co. asked us to produce a branded design template for a highly visible series of e-mail tactics. Our creative response included design, copy, strategic and technical input on the final product. Implementation included branded video content integration and delivery across mobile devices.